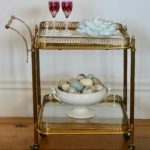 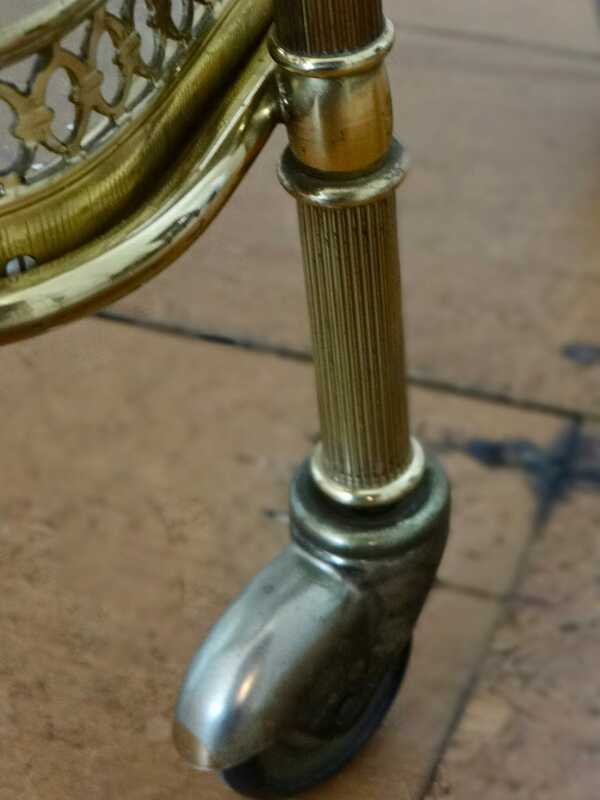 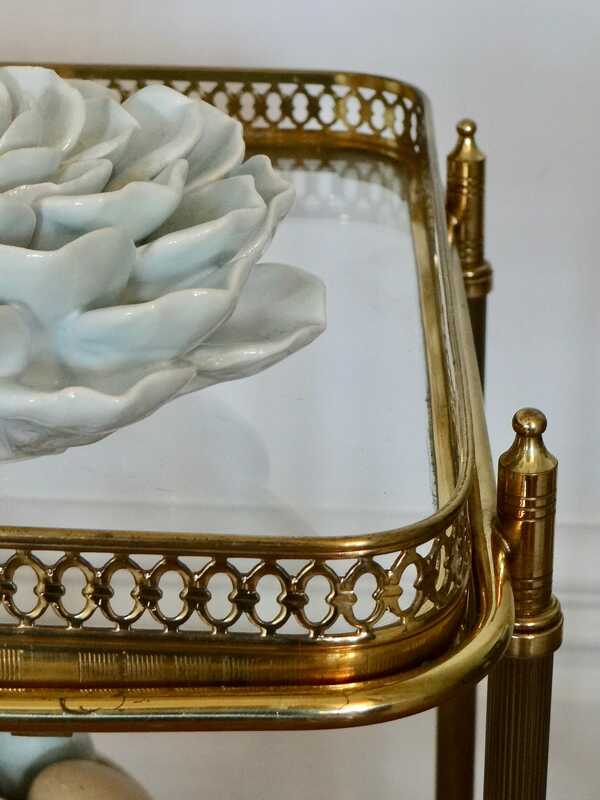 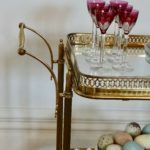 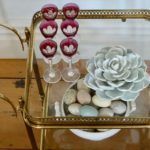 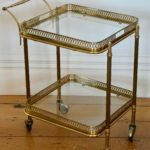 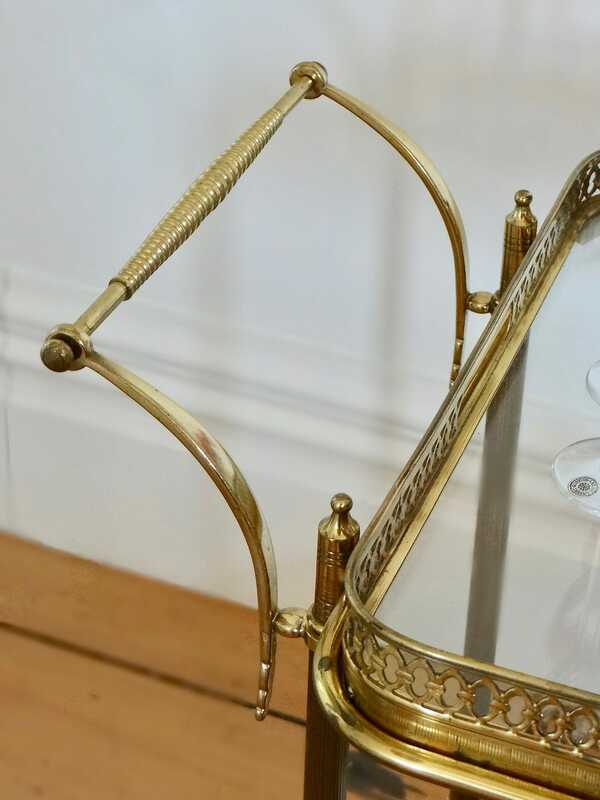 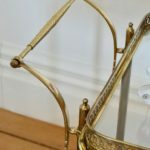 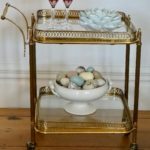 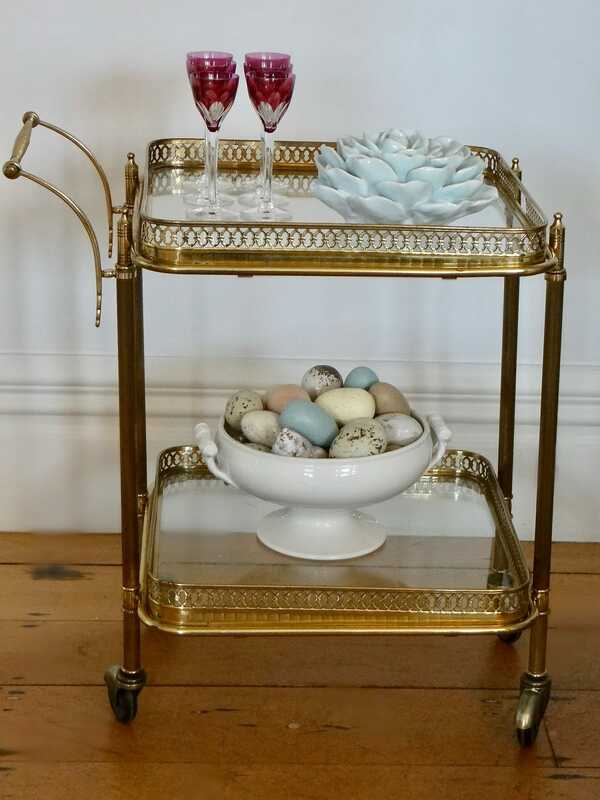 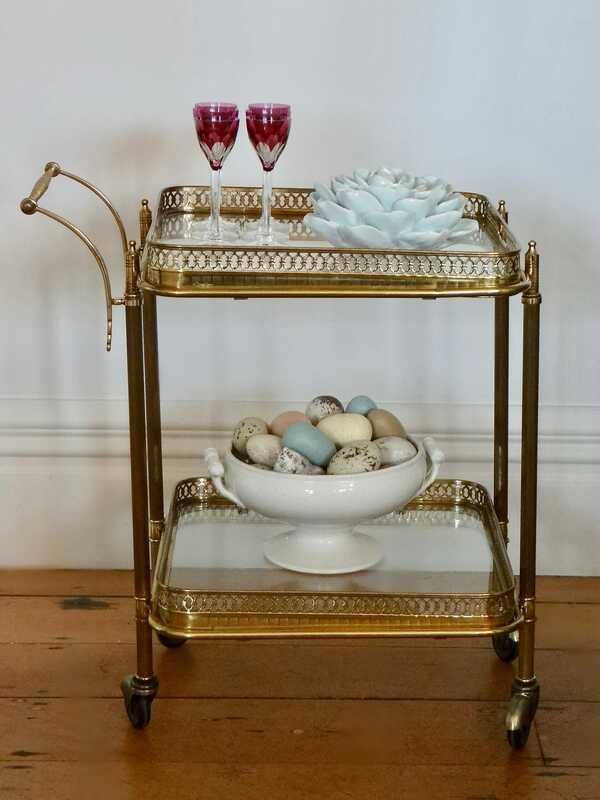 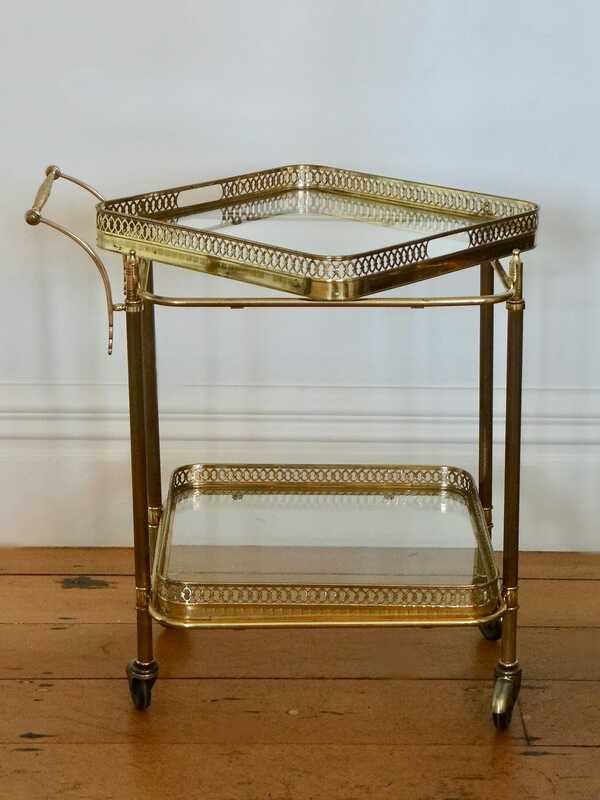 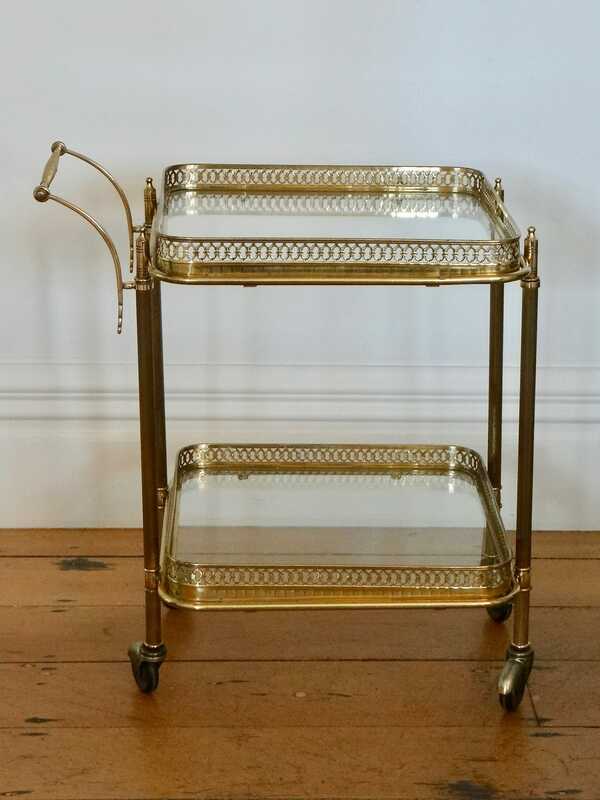 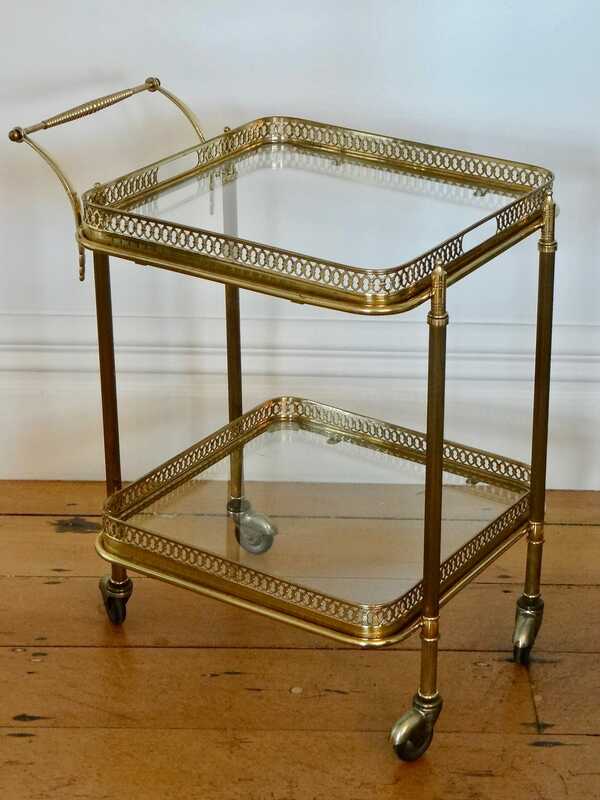 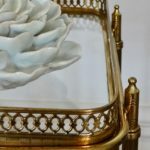 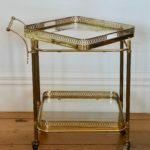 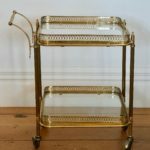 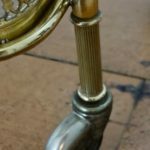 A petite drinks trolley with pierced brass galleries and glass tiers, on castor wheels. 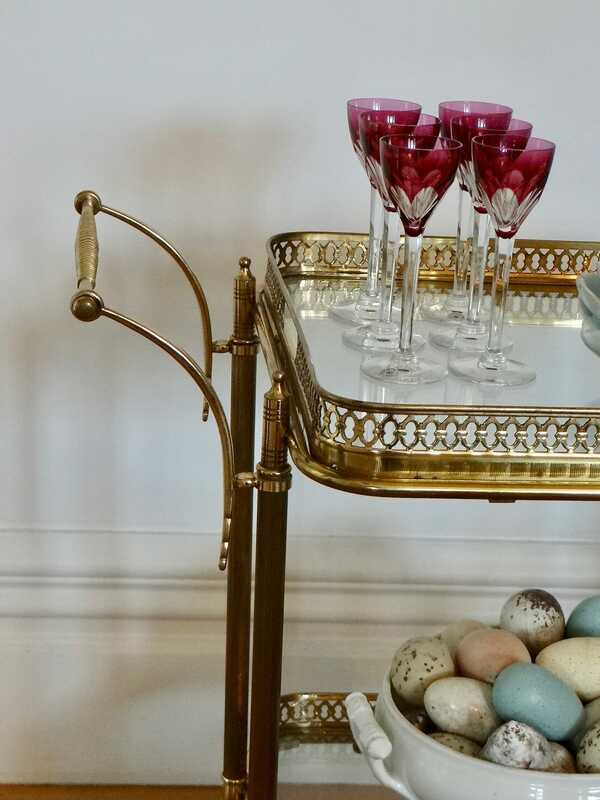 In the style of design house ‘Maison Bagues’. 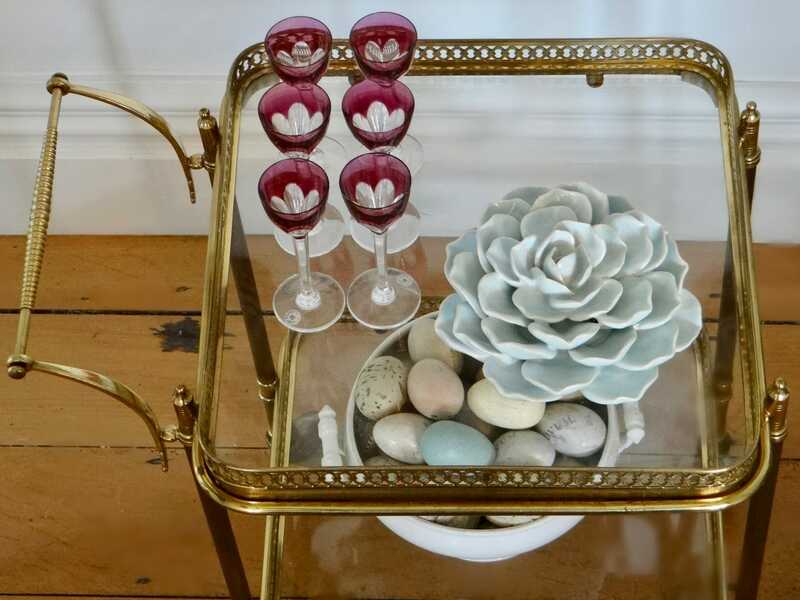 The two tray tops are removable for serving.